The Torc (also spelled Torque), or neck ring, was an important piece of Celtic jewelry, and was worn before 1200 BC to as late as 600 AD. It was a powerful symbol, perhaps representing the wearer's free-born status, and was often complemented with additional rings worn about the arms and wrists. 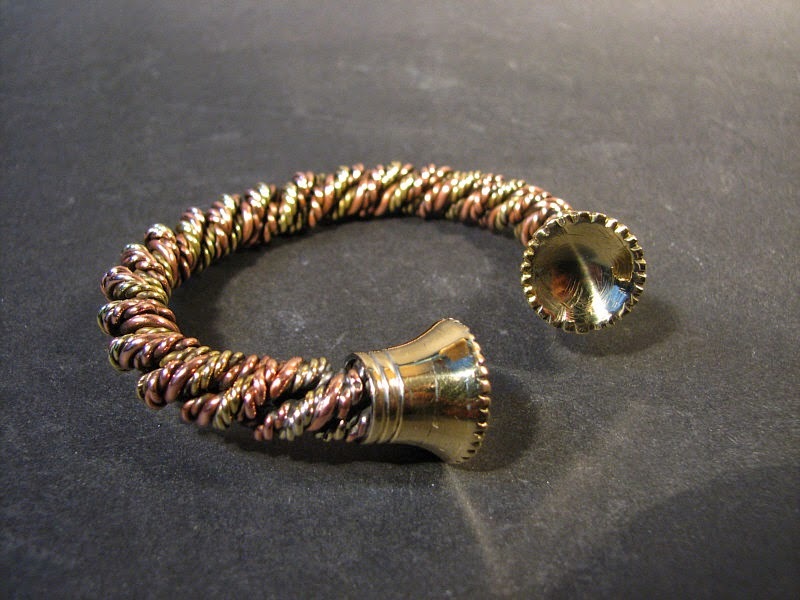 Torcs were made from copper, bronze, silver, and gold. They were worn by both men and women, and are depicted as such in both Classical and Celtic sculptures. Zoomorphics, or animal forms, were very popular with the Celts. They were used to represent deities, natural and supernatural forces, and personal qualities. The animal heads are placed on the torques so they appear upright when worn. 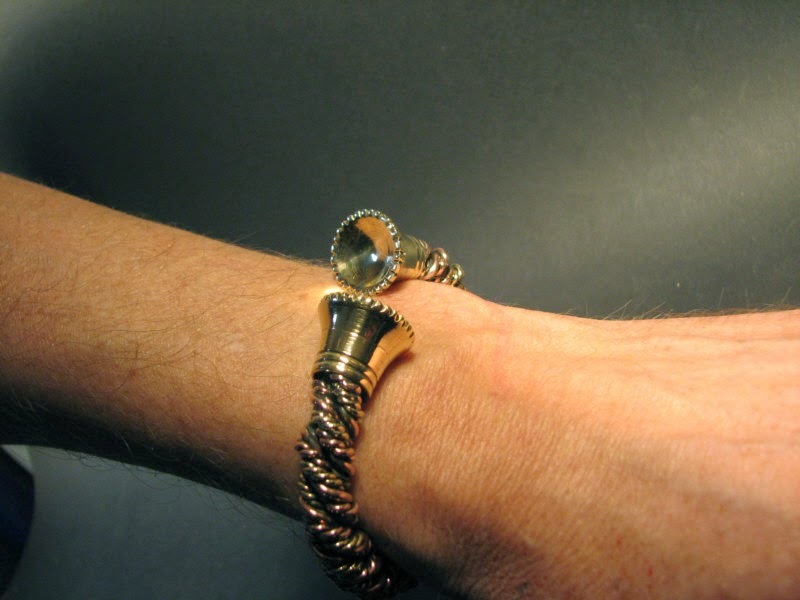 This one was made of twisted copper and brass wires with brass endpieces. It is a flexible piece of kit and you easely put it on and of your wrist.